CyberKeeda: Bash - Insert data in mysql table from a file using LOAD DATA LOCAL INFILE command. Bash - Insert data in mysql table from a file using LOAD DATA LOCAL INFILE command. As every Linux operator loves text file, a text file is enough to process anything within linux using commands. Today, we will use the power of BASH to insert data into MYSQL table using LOAD DATA LOCAL INFILE commnad from a local text file. 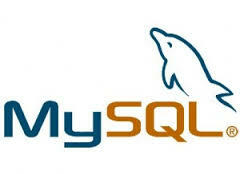 [root@cyberkeeda ~]# mysql -uYOUR_USERNAME -pYOUR_PASS -D mydb -e "load data local infile '/tmp/myfile.txt' into table mytable fields terminated by ',' lines terminated by '\n'"
# mysql -uYOUR_USERNAME -pYOUR_PASS -D mydb -e "load data local infile '/tmp/myfile.txt' into table mytable fields terminated by ',' lines terminated by '\r\n'"